For anyone who loves stationery of the cute and quirky kind, they will know there’s one country that stands out from the rest and that’s Japan. Land of kitsch stationery, and as seen here, rather unusual foodie desk accessories. Tokyo Kitsch is home to some of the oddest stationery I’ve seen in quite some time, though I must say it’s growing on me. While the language translation is sketchy at best, I’ll let these pictures of the next best thing in food related stationery do the talking! 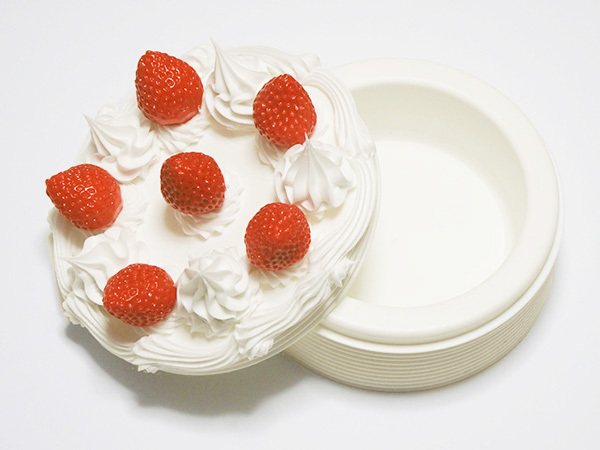 Paper clips concealed in a Strawberry Sponge Cake ($39) shaped dish would naturally be awesome. I’ll take two thanks. You’d think it was impossible to write a note and stick a stamp on your favourite bacon and egg brekkie, now wouldn’t you. Not any more! 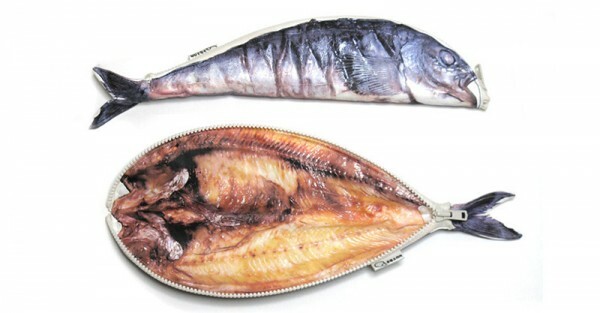 Choose from bacon and egg, cuttlefish, bream and mackerel Realistic Food Postcards ($13). 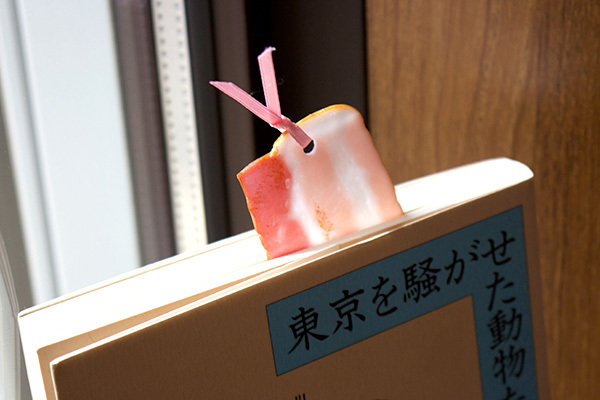 Not to be outdone, you can also have a matching bookmark. 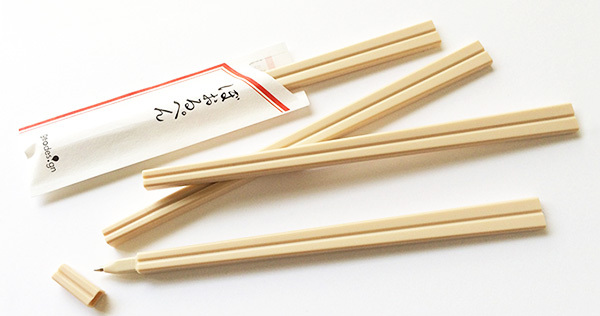 Now these pens are cute – a Waribashi Pen ($5) will see you fine tune your chopstick skills in no time – all while taking notes. Tired of losing your pens in your bag? Of course, you need a pencil case. 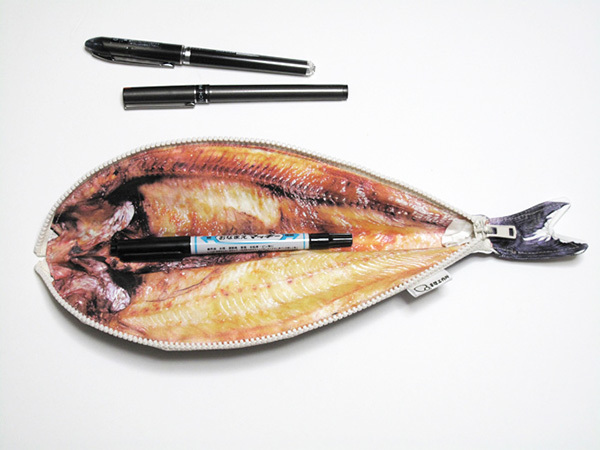 An impressive insight to mackerel, you too can have a Fish Pen Case for $33. 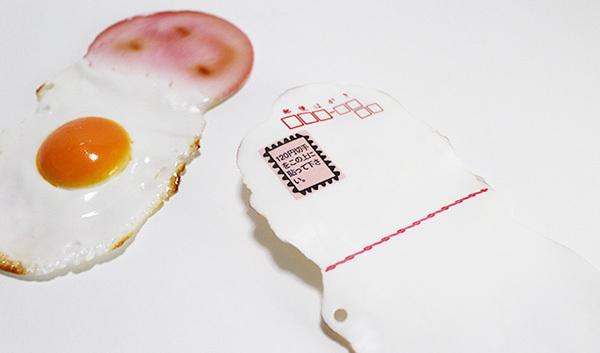 They’re quite unlike anything I’ve seen on the Daiso shelves, but hey, if you can send a note on a fried egg sunny side up through the post, then why not give it a crack!